I have a18 month old labrador. He comes from working stock. Everything in his training has been a bit slower than I have experienced before but he does show promise. In particular, he has a fantastic nose. However, depite being mad about retrieving, he steadfastly refuses to pick up any cold or warm game. I've put the wings of birds onto dummies - he picks the dummy up by the string. I'm hoping to introduce him to the shooting field this season - maybe this will make things "click." Does anyone have any ideas or experience of how to deal with this? I have just been down the garden with Buster our lab with a new fur covered dummy, like yours he picked it up by the end. So what I'm doing is getting him to hold it as he does all the others, in the middle. I then get him to walk to heel back to the house, and then back down the garden again. He's getting there, feathers and other things he's not really bothered. He carries the shed keys down the garden too, no problems with those jingling and swinging. Try putting just a few feathers onto his favorite toy or dummy and give him lots of encouragement, he will get the jist of it and get used to the feeling of a few feathers in his mouth, you can gradually add more until he just picks any up. Keep him away from pigeons until he is well used to feathers. They leave a dogs mouth looking like a burst feather pillow and could put your dog off for life. Another way is put a pair of old tights over the feathers you have on the dummy so he gets used to it that way. Only you can see which way will work for your dog. My Cocker prefers fur over feather especially rabbit or hare. Strange .my springer has no problems with feather .either crow or pigeon . But hates fur .i tried to get him to retrieve a squirrel the other day .and he picked it up and dropped it again 4 /5 times before he brought it back the 10 yds and then he dropped it at my feet .which he never does with anything . Thanks. I'm hoping things will click in on shoot days. My other lab doesn't inspire him though! He loves retrieving and will fetch dummies, balls or toys all day long. Maybe it'll come. Agreed, mine will also retrieve dummies all day as well, i think once they get inspired it will be difficult to stop. it doesnt help that mine isnt asked to do very much in the first place..? The last thing I'd use for a dog that doesn't like feathers is a pigeon (wood), what with all those loose feathers that will come off in its mouth and gum up. Put cold game in a sleeve made from an old pair of tights. Roll a little bit back each successful retrieve over a week or so. 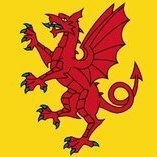 Personally I thought it was a good idea, if some don't like the idea of using a pigeon try and substitute it for another bird. Big Al, have you tried using superTed to spur the new dog on? Thanks Penelope - I think that's what I'll try next. If I get a teal I'll try it with that. Yes I have - the pup is keen to get the retrieve over Ted until he realised what it is! He'll sniff at it and walk away - I end up sending our Ted anyway. He's very happy to do it! Anything other than a woody, would be fine. They just have too many loose feathers. Ferals are good, much tighter feathering. I have always put a pigeon in a cut up pair of tights. Once they dog is retrieving the bird without any problems I cut a small hole and pull one wing out, and carry on with lots of praise. I would then leave it to the following day and carry on, then another hole and the other wing. I would not rush it even if it takes a week. 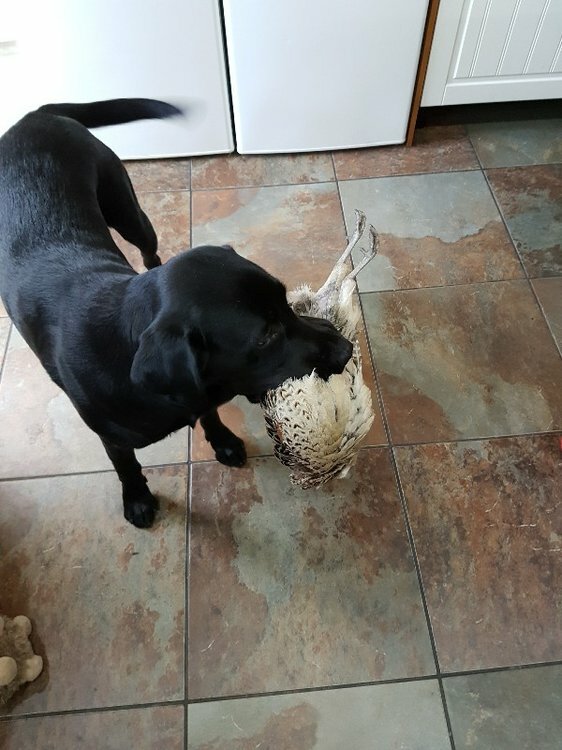 If your dog has a real problem I would use the same method but with a Partridge or hen Pheasant as Woodpigeon do fill the dogs mouth with feathers and that can take a bit of getting used too. Exactly what I have always done. Try Puting your dummy out and walk him past it a few times, dont let him pick it up, he will be like a coiled spring wantng to pick it up. This will also teach your dog control and may also get him to pick up the bird. Thanks for all the replies. Real progress made today. I shot 3 teal this morning. I put one in a pair of tights and encouraged him to hold it. Which he did after some encouragement. He retrieved the duck in the tights. I pulled the teal head out and he retrieved that too. I thought that was enough for today but couldn’t resist throwing another teal for him in the feather. He retrieved it too after encouragement and praise! He did half a dozen retrieves on the feathered teal and them I threw a mallard. It was a step too far so after a few more goes on the teal I called it quits for today. He was saving himself for the big boys! Absolutely. I do always try to. I know he'll come good because he shows all the signs. Great nose. He has been introduced to gun fire and doesn't flinch. 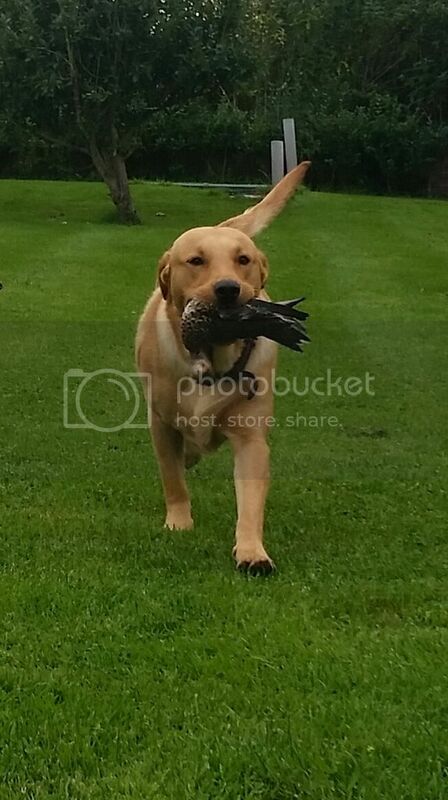 He is completely mad to retrieve. Just until now he wouldn't pick up feathers. Small steps and all that. This photograph was on Saturday - it took until now for me to get into photo bucket!